Anyoption binary options broker has been in the 7binaryoptions list of trusted and legitimate binary options brokers since its introduction into the market, back in 2008. For all that period, the company has not registered any negative feedback from the binary options traders on its platform. At 7binary options, we have been reviewing the various online binary options brokers and binary option robots to help binary option traders from across the world to avoid scam brokers. Having reviewed hundreds of brokers, we have noticed that a majority of complaints registered for any given binary options broker is as a result of withdrawal problems on the binary options broker in question. For instance, the broker may be delaying withdrawals from its traders unnecessarily or just offering unsatisfactory services to its customers. When this happens to a broker, we normally remove it from our list of trustworthy brokers. The fact that Anyoption is in our list of recommended binary options brokers implies that we have intensively reviewed the site and are satisfied with its services. Throughout this article, we will take you through the essential aspects of the withdrawal process at Anyoption. Since the company was launched, it has been offering swift and reliable banking services for its customers. The processing times at Anyoption are in line with the stipulated timelines on their website almost always. Throughout the nine years that the company has been in this business, it has managed to streamline the various aspects of their banking system, hence making the system flawless, safe and secure for the thousands of traders on their binary options platform. One of the aspects of the withdrawal process that many traders tend to complain about when it comes to the unreliable binary options brokers is the fees charged on the platform. As a new trader on any given binary options platform, paying a large amount of money to the company in the form of fees will definitely affect your trading activity and derail you from the course of success. Anyoption is well aware of this fact and charge manageable fees and costs to the traders on their platform. In this regard, the company allows its customers to withdraw their funds free of charge, once every month. However, the broker charges $30 as fees for subsequent withdrawals within the same month. As such, if you would like to withdraw three times in a month, the first withdrawal will be free, but the subsequent two will attract a fee of $30 each, if carried out within the same month. Additionally, the company does not impose any withdrawal limit or minimum withdrawal amount to its traders. For the purpose of security, traders on this binary options platform will need to verify their identity before they are allowed to withdraw money from their Anyoption accounts. The verification process is easy and fast; in most cases the account will be verified 24 hours after sending the required documents to the broker. As such, nobody can be allowed to withdraw money from the platform, unless they own the account they are withdrawing from. The company is also in line with the anti- laundering and anti- terrorism financing policy, as stipulated by the American Patriot Act to stop. Having operated a trading account with Anyoption, we have come to a conclusion that the banking services offered by the company are safe, secure and satisfactory. Additionally, we did not come across any major issues while using this binary options trading platform. Traders using this binary options trading platform have access to the numerous types of benefits offered by Anyoption broker. 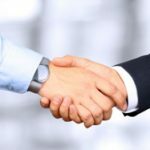 The benefits on offer by this broker are one of the reasons why this broker is loved by many traders in the industry today. It is also one of the aspects that attract aspiring traders in binary options to open accounts with and start trading on this platform. As opposed to other brokers in the industry, this broker does not discriminate its traders on any basis. As such, all the traders on this platform have equal access to the various benefits offered by the broker. However, you need to have a real trading account with Anyoption for you to take advantage of such benefits. After you have provided the required personal information, while opening an Anyoption account, and subsequently verifying your identity by providing the required documents, you can start trading on this platform and gain access to the various and attractive benefits that the company offers to its new and existing customers. 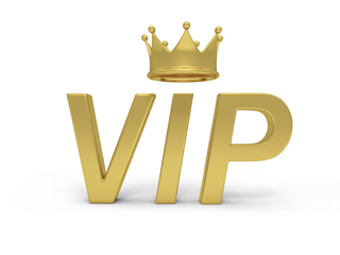 Although the company does not advertise any information regarding its benefits and VIP program, you should expect to get benefits from the company from time to time, as long as you are using their binary options platform. While signing up for an account on this platform, the broker will offer you a certain percentage of your initial deposit as a benefit. After you have been awarded a benefit by the company, you have up to three months to clear it, by trading in binary options. It is also possible to keep track of how you have used your benefit and even have a look at the balance you currently have. All this information is available on the tab located in your Anyoption trading account. According to numerous binary options traders from across the world, offered by a broker are an attracting feature that draws them to the platform in question. By giving your certain percentage of the initial deposit as a benefit, Anyoption allows traders to have a large amount of investment capital than their initially deposited amount. This is not only encouraging for new traders, but can also boost your chances of success while trading in binary options. Based on the amount you deposit as the initial deposit to your Anyoption account and your country of residence, the company offers a benefits of between 20 and 100 percent. Anyoption is a pioneer in a good number of revolutions within the binary options industry. This may be the reason why the company has thousands of satisfied customers on its binary options trading platform. Over the years that Anyoption has been in this business, it has managed to fine-tune various aspects on its platform, making it one of the best in the market. The high levels of satisfaction recorded by traders using the Anyoption trading platform may be attributed to the many impressive features offered by the broker. Additionally, the broker comes with impressive ideas that are aimed at boosting customer experience and increasing the chances of profiting while using their binary options trading platform. A while ago, we highlighted a feature on this platform that allows binary options traders to take advantage of the upcoming tech IPOs and profit from the same. It is a fact that Tech has significantly influenced the moment of major indices, hence impacting on various economies. Owing to the technological advancement being experienced across the globe, tech behemoths will continue to influence a considerable part of out day to day lives. As players like king.com and Alibaba continue to expand their market reach, you can possibly be part of this growth, and even profit from it, through your Anyoption account. Don’t be afraid to push the button. Never risk too much capital on one trade. Don’t second-guess yourself, but do learn from experience. Trend – this is a very beneficial feature on offer by Anyoption. 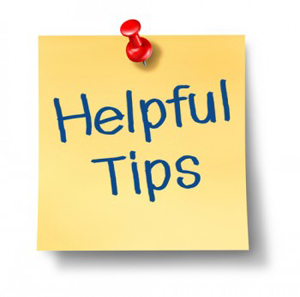 It helps traders on this platform make an informed decision, regarding when to go high and when to go low. With this feature, you can see the assets that are trending at any given time and invest in them. Live – this is a feature that is designed to help traders on the Anyoption binary options trading platform to view global capital movements. With this feature, it is possible to see what other traders, from different parts of the world are investing in. In addition to giving a broad idea of what assets are trending at that particular time, traders on this platform may use this feature to filter the trends by location. Reuters Expiry – in a bid to improve the experience of the traders on their platform, Anyoption has partnered with Reuters Thomson, a global data provider. In this regard, trades may use the Reuters Expiry on this platform to view their expired positions as well as get expiry calculations for the open positions. 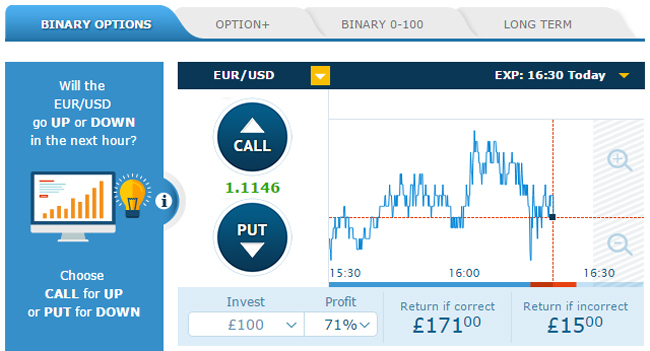 Choose Your Profit – this is a feature that allows traders on the Anyoption platform design their own binary options. This is because standard binary options are associated with a greater Standard binary. With this feature, Anyoption traders can now choose their preferred risk level in accordance with the changing safety net terms. The magnificent features mentioned above are only available to binary option traders using the Anyoption platform. As a result, you will have to register for an account with this broker in order to have access to such features. At 7binaryoptions, we have tried out the various features on offer on this platform and have come to a conclusion that all of them are highly effective at what they do. Although the internet has a lot of information regarding the various online binary options traders in the market today, it can turn out to be very laborious for traders to screen the thousands of brokers and ascertains the legitimate ones from the scam brokers or binary option robots. When it comes to reviewing binary option brokers, it is rather unfortunate that some of the reviews on the internet today may contain cognitive biases, hence may not depict the truth as it should be. At 7binaryoptions, we have the heavy task for you; we have opened accounts with the brokers and traded with them, in a bid to ascertain whether they are what the claim to be. This is why we are a reliable source of information related to the legitimate binary options brokers today. For years now, we have been following the activities at Anyoption and are confident that the broker is legitimate. If you have come across any review that says that the broker is a scam, you should just disregard it because it is misplaced and false. Anyoption was introduced into the industry in 2008 and since then has not recorded any complaint from its customers. This is a good indicator that the broker is legitimate and reliable. If the broker was a scam, it would not have made it this far. There would be very many complaints about the website from the thousands of traders using the platform from different parts of the world. Again, the company has offers good support services for all its customers, regardless of their location. This way, all the concerns by the clients are addressed in a fast and efficient manner. Having tested the Anyoption binary option platform, we have determined that the platform offers a very balanced and convenient approach to binary options trading by its clients. For instance, they have highly reliable and reliable help service in place, vast account options, a wide array of assets to choose from on their platform and a platform that is easy to use for customers. Currently, the broker has thousands of users from more than 150 countries across the world trading on its binary options platform. Thanks to the easy account set up process, you can also profit from the ease of use, convenience and asset variety presented by the Anyoption platform. 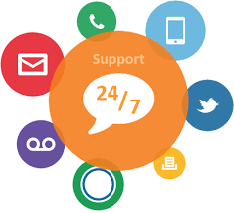 At Anyoption, language barrier is not a hindrance to getting quality customer support services. This is because customer care is offered in more than 15 languages. The banking system at Anyoption is also spectacular, offering a safe and secure way of managing and withdrawing your money. The broker is also well renowned for offering accurate and real-time data to help traders on its platform make informed investment decisions. Many binary options traders today are opting for the brokers that are regulated by a renowned body. If you happen to be this type of an investor, Anyoption is an ideal investment partner for you. Anyoption is regulated by a popular body, the Cyprus Security and Exchange Commission (CySEC). This is good news because many traders today are sceptical about joining unregulated brokers. Although regulation has its negative aspects, it is a good thing when it is imposed on binary options brokers. It is your money we are talking about after all and the less risky the investment opportunity appears to be, the better. 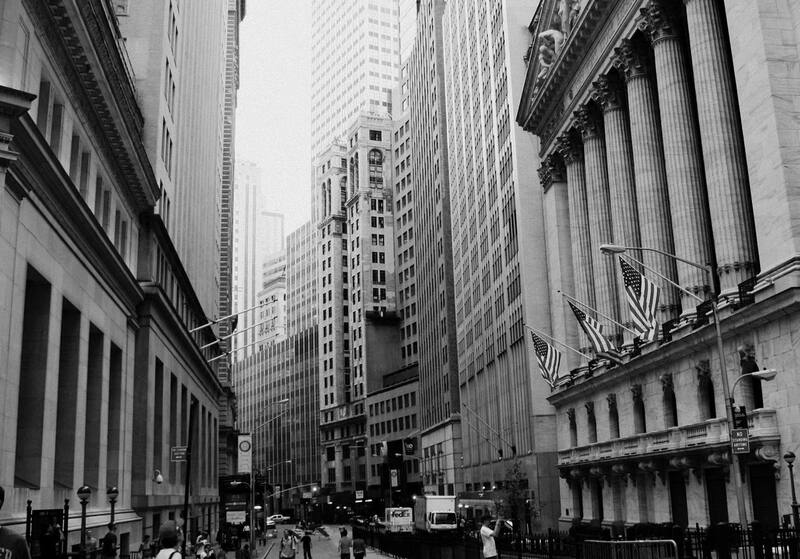 In some cases, regulations restrict the ability of brokers to accept traders from certain regions. In this regard, residents of countries that are not allowed by the restriction will be denied the chance to experience the magnificent features offered by the broker. In other cases, strict regulations on binary options brokers makes them offer lower spreads for traders from certain regions. This, in turn, curbs the ability of such traders profiting much from the platform. However, regulation is also a good aspect of a broker today. This is mainly because you can rest assured that you money is safe and secure with a regulated broker, like Anyoption. This gives traders peace of mind while investing in the assets offered by the broker, since they are not afraid of losing their money to a scam broker. Anyoption is dully licensed and registered by CySEC, hence a secure binary option trading platforms for traders from the accepted countries. 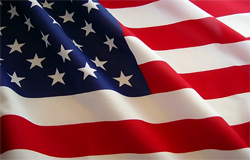 Regardless of being regulated, this broker accepts traders from many countries across the globe, except the USA. Just like it is the case with other binary option brokers that are regulated by CySEC, Anyoption does not allow traders from the USA to open accounts with them. This is because the licensing offered by this body to binary options allows them to operate within the EU, which does not include the USA. Initially, Anyoption used to allow traders from all parts of the world to trade in the more than 200 assets provided on their binary option trading platform. 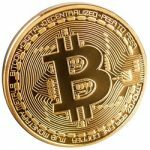 This made the platform one of the most prominent, reliable, and professional as well as the largest financial trading platform online, a reputation the broker has continued to enjoy up to date. Additionally, this broker has continued to offer a professional appeal to binary options traders from different parts of the world. 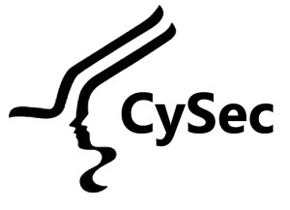 However, the registration and subsequent listening of the broker by CySEC forced the broker to stop accepting traders from the USA. This may be a downside of this regulation, but when the regulation is coupled with then SSL-support transactions offered by Anyoption make the platform a secure place for traders’ money. With Anyoption binary options broker, traders can now profit from the fluctuations in the financial market in a safe and secure platform. What is more appealing about the broker is the fact that you do not need to be a professional in this trade to successfully trade and make profit on this platform. The company has a team of trained and experienced professionals to help the new traders profit from trading binary options on the platform. In addition to being a pioneer in the online binary options industry, the company has continued to be a favourite trading platform for thousands of traders. The platform offers a horde of underlying assets, including stocks, commodities, indices and currency pairs. This coupled with its regulated stare and good reputation as a legitimate broker makes Anyoption the perfect binary options broker, even for the novice traders.